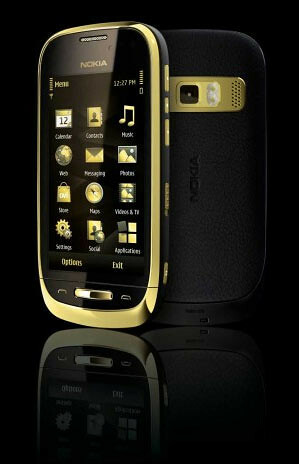 Nokia just announced a new smartphone, which will be made available in selected markets – the Nokia Oro. It’s a premium brand product that incorporates 18-carat gold plating, a sapphire crystal and leather from one of Scotland’s finest Caledonian herds. 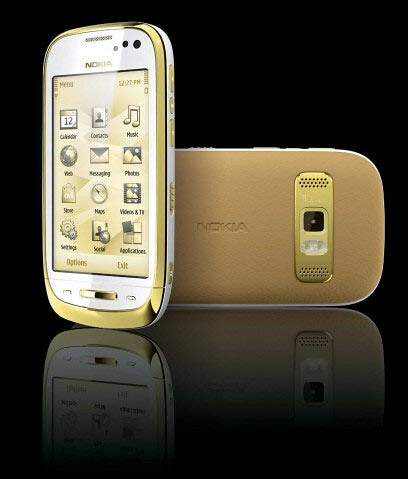 Comes with Symbian Anna OS and pentaband radio connectivity, up-to HSDPA 3G and WiFi. 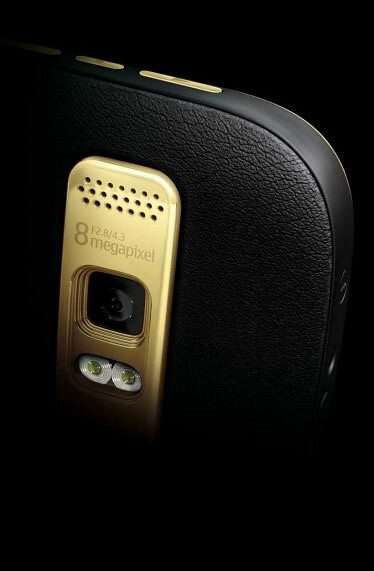 There’s a 3.5-inch AMOLED display, an 8-megapixel camera with 720p video recording and all the rest. It basically has the same functionality as other new Nokia handsets, but this one is PREMIUM. Normally, you’d have to choose between something that looked posh or offered the latest specs: Nokia Oro offers both. 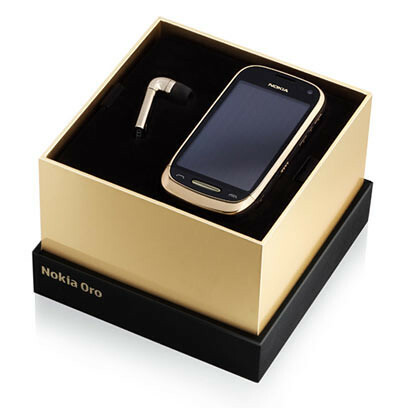 Premium products like Nokia Oro have always been best sellers in Russia. We have a large number of users who are looking for products with a build quality and superior materials that attest to their success and social standing. In some areas, possession of such premium products is the passport to being taken seriously. Our aim was to use the best materials for the purpose. It’s coated with 18-carat gold which has been made scratch-resistant. The leather is from premium Scottish stock. That’s a real sapphire crystal in the home key, which makes it eight times sturdier than glass. Nokia Oro will start selling in selected countries across the Europe, Eastern Europe, China and the Middle East in Q3 2011. Before local taxes and operator subsidies (neither of which you’re likely to be too concerned about if you’re a customer for this device), it will cost upwards of EUR 800. Check out this video below to know more about Nokia Oro. One Response to "Introducing Nokia Oro. A Premium 18-Carat Gold Smartphone"
It is at this stage of the shopping process men sometimes forget the reason they started on this adventure in the first place. They can lose sight of the fact that their primary goal is to make their girlfriend happy.